Optowaves’ fiber optic attenuators are the first and only one to adopt Fused Biconical Taper (FBT) technology. With this innovative patented design, Optowaves’ fixed in-line type attenuator is the most sophisticated device suitable for all applications demanding high performance. With the patented mode filter design, it can enhance mode stability dramatically and be readily panel mounted without any dummy fiber. 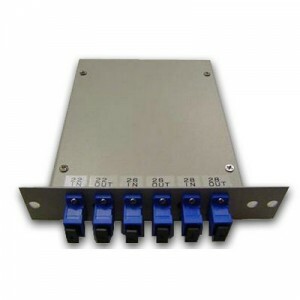 By embedding these attenuators in to a small form LGX metal box, it makes for better handling. Increase testing productivity and minimize chance of damage during transport. Optowaves’ attenuator box is the most ideal solution for lab testing and simulation. The products meet the Telcordia GR-910-CORE requirements.